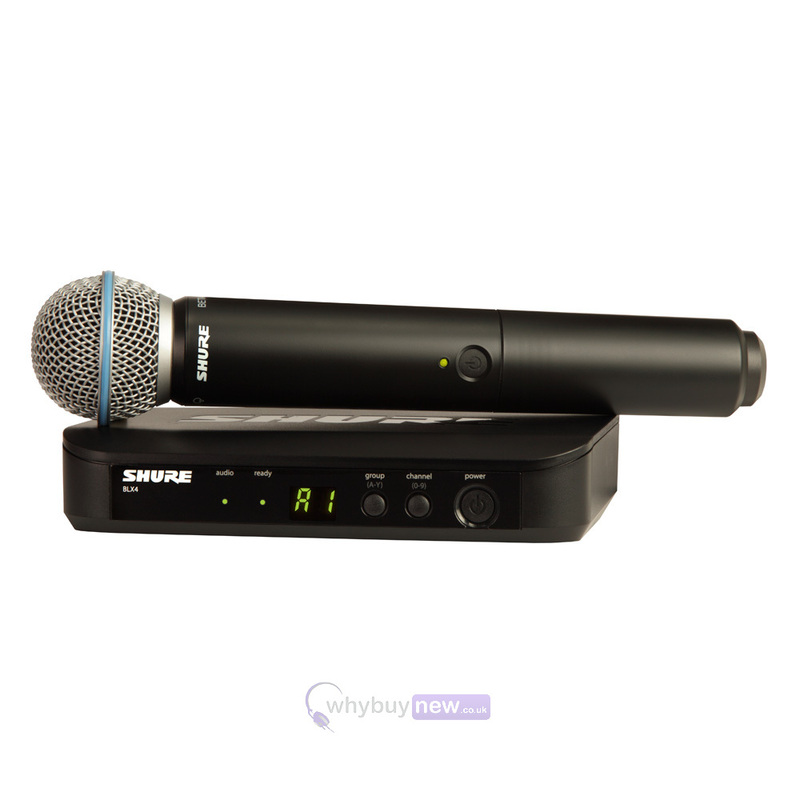 The Shure Beta Wireless Vocal System with Beta 58A: The Beta 58A dynamic vocal microphone is precision-engineered for live performance and project studio recording. It has a tailored frequency response which will accentuate vocals, and the supercardioid pattern isolates from other sound sources. 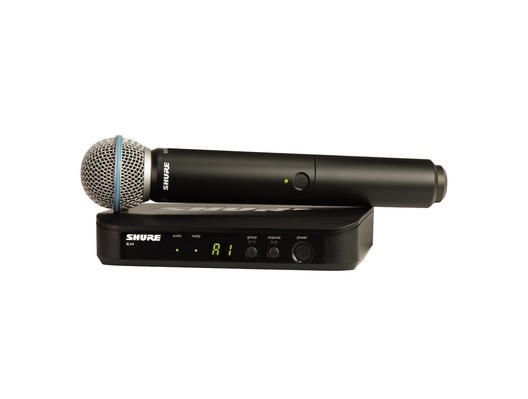 It combines simple setup and an intuitive interface for performance you can trust. This package also includes a BLX2 transmitter and BLX4 receiver. I have only used this radio mic set for one event since it arrived but so far it has performed perfectly. The set is easy to use and works well. The build quality is really cheap - really thin plastic (both the receiver and the transmitter are plastic - not metal) and the case is a foam based construction. It will be interesting to see how well this set lasts.